June 5 is the 150th birthday of Pattie Boyd (1867-1947). 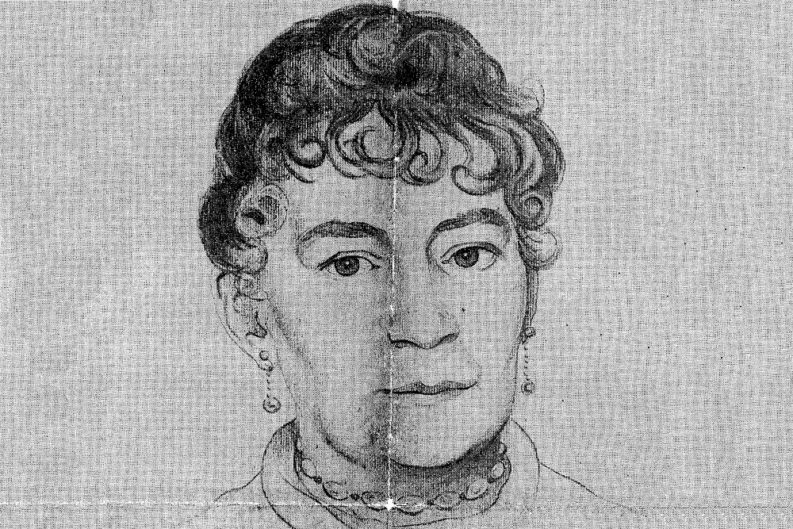 Although a woman named Elizabeth Roulsone became publisher of the Knoxville Gazette after her husband’s death in 1804, and ran Tennessee’s first newspaper for four years, Boyd is remembered as Knoxville’s first career female journalist. She was also Tennessee’s first society-page editor. Her parents, who owned a farm in the Boyd’s Bridge area of East Knoxville, named her Sallie. She was a strong-willed young woman, though, and preferred the name Pattie. She was just 18, in early 1886, when she told the editor of the Knoxville Tribune that his newspaper was tiresome. “All you write about is politics,” she complained. “Why don’t you have something about what people are doing and saying?” He gave her a newspaper column. The Tribune eventually combined with the Journal, and she kept writing society columns for 51 years. In her early days, women were not allowed in the Gay Street newsroom, where men smoked cigars and cursed. She worked at home, and sent her handwritten stories in by way of a male messenger. She had two rules: no mean gossip—she was proud that she could keep secrets—and no slang. She finally got her own office at the paper in 1911. She became a familiar figure downtown, known for her large, flowery hats. However, she did not permit men to wear hats into her office. She turned in stories seven days a week. In 51 years, she took only 36 days of vacation. She covered the visits of four presidents, and described at least 30,000 weddings. She never married, herself, but enjoyed an unconventional friendship with a younger violinist and showman named Ole Bull Jones (pronounced “Olee,” like the Norwegian violinist). For some years they lived together, along with Pattie’s brother, Robert. Upon Jones’ sudden death in 1928, he left his estate to Pattie, including a large farm and his rare Stradivarius violin. She finally learned to type in 1935, at age 68. When she retired two years later, Sallie Boyd was believed to have enjoyed the longest career of any female journalist in America. The exhibit includes a few of his luminous abstracts, like “Peinture” (1958), “Scattered Light” (1964), and “Moving Sunlight” (1965), all in thick oil. 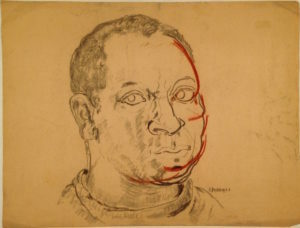 But equally interesting are his rarely seen sketches, including playful self-portraits, and a couple of rarely seen landscapes of his home town, apparently made during a visit here in 1969. One depicts Knoxville in a characteristic lush green. The exhibit runs until July 23. Saturday, June 3, is an unusual festival called Bike, Boat, Brew, & Bark, which celebrates Knoxville’s well-developed cultures of bicycling, boating, beer—and dogs. Much of it’s centered on Volunteer Landing. 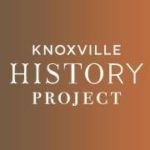 At 10:00 AM, the Knoxville History Project’s Jack Neely will lead a walking tour of the riverfront, highlighting the historical and literary markers. Reservations are required, and tickets are $7. See visitknoxville.com for more. Featured Photo: Pattie Boyd, Knoxville’s first female journalist, and Tennessee’s first society page editor, from a drawing made by Edward Hurst in 1936, for a celebration of her 50 years in newspapers. Courtesy of Lawson McGhee Library. From news to pop culture, from our history to our future, these stories make a difference to individuals and to our city. 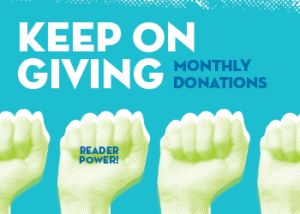 Your help makes these stories possible.